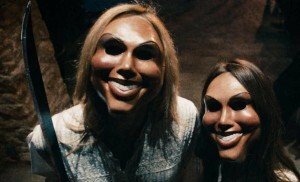 The blueprints for director James DeMonaco’s new film The Purge can be found between pages 173 and 177 of the hardcover edition of “Brain Droppings” by the late George Carlin; it’s here that he outlines his plan for “Legal Murder Once A Month,” an event where people are allowed to kill one person without consequence. This is the first thing that sprang to mind when I saw the trailer for The Purge, which focuses on a twelve-hour span once a year where all emergency services are suspended and crime of any kind is permitted, including theft and murder. Apparently, it’s due to The Purge that crime, poverty, and unemployment are enjoying all-time lows. Instituted by governmental figureheads known as The Founding Fathers, The Purge seems to have given America a new sense of purpose and self, and we seem to be content and civil. Well, at least for 8748 hours out of the 8760 that make up one year. 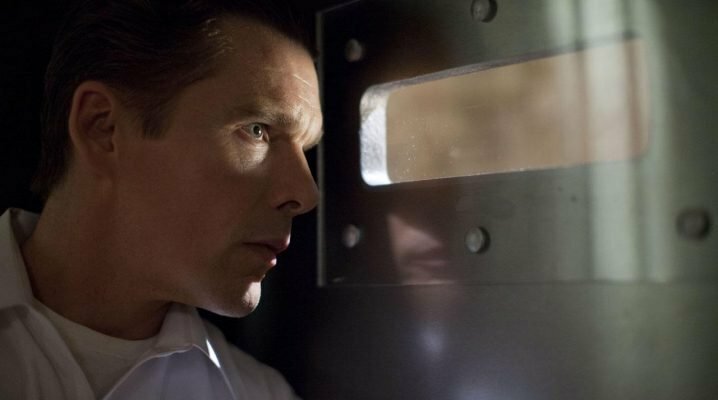 DeMonaco’s story picks up 62 minutes before The Purge of 2022 gets underway at 7:00 pm Pacific Standard Time, where we find James Sandin (Ethan Hawke) and his family preparing for the night’s events. The Sandins live in a very rich neighborhood, where James has made a fortune selling anti-intrusion security systems to his neighbors and other wealthy people. And as The Purge’s starting sirens go off and the doors and windows are covered with plate steel, the Sandins hunker down to ride out this violent night in peace. But that’s all about to change, ’cause there’s a homeless man (Edwin Hodge) wandering their streets, crying out for help… and James’ son Charlie (Max Burkholder), who sees this man on their CCTV monitors, is thinking about opening the doors. 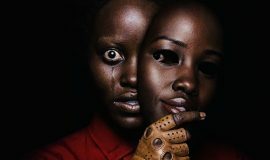 The Purge plays like a horror movie, with all the standard tropes being present: the killers in scary masks, the young virginal daughter in peril, lots of jump scares, and the one boneheaded action that provides all of the film’s raison d’etre. It’s almost like watching any Friday the 13th sequel where Jason Voorhees gets raised from his watery grave by some idiot kid who’s out for a thrill. However, even though The Purge is produced by Michael Bay’s Platinum Dunes, a company known for its horror remakes, the film actually is just John Carpenter’s Assault on Precinct 13. But, y’know, involving the infamous upper 1%. It’s a movie worth one viewing; I can’t see the need to watch this multiple times. Performances run strong throughout, notably Ethan Hawke as the beleaguered Sandin family patriarch – his tightrope-walk between playing a privileged salesman and a man desperate to protect his family is an odd, yet compelling thing to watch. 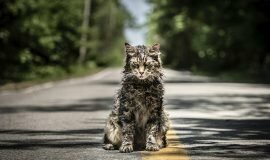 Likewise, Lena Headey as his wife Mary provides the conscience that James seems to have lost in his transition from not being able to pay their rent to living like fat cats. However, as the script (written by DeMonaco) starts to turn to trite, yawn-inducing drivel, you wonder why a premise as strong as this gets turned into a little bit of a cop-out. Is it to nail home the point that humans are better than bloodthirsty animals? Maybe. But for 85 minutes, there are very few dull moments, however predictable it may be.